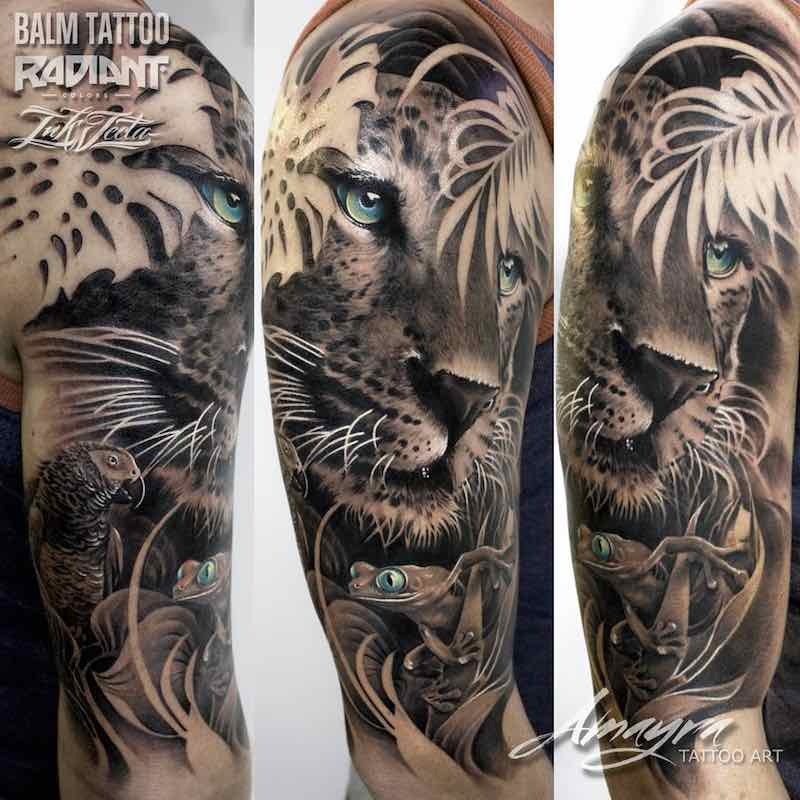 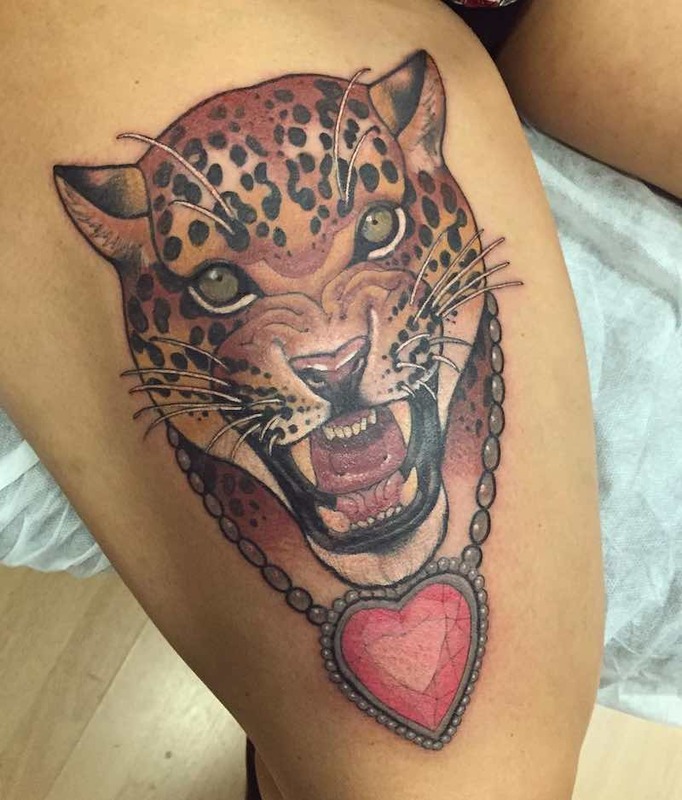 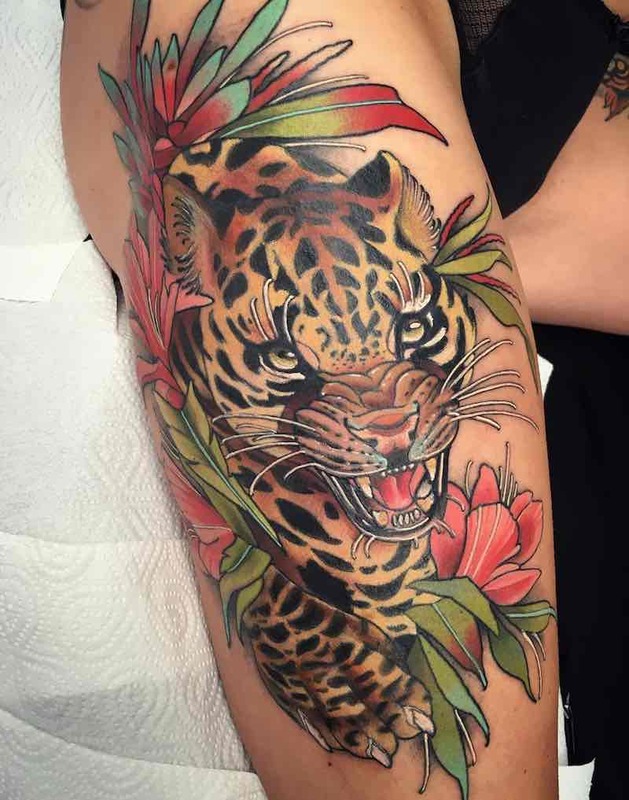 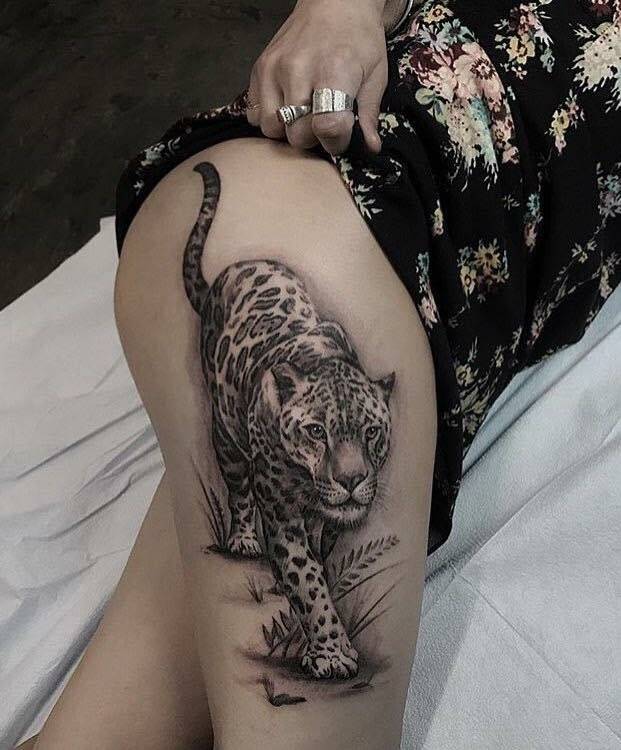 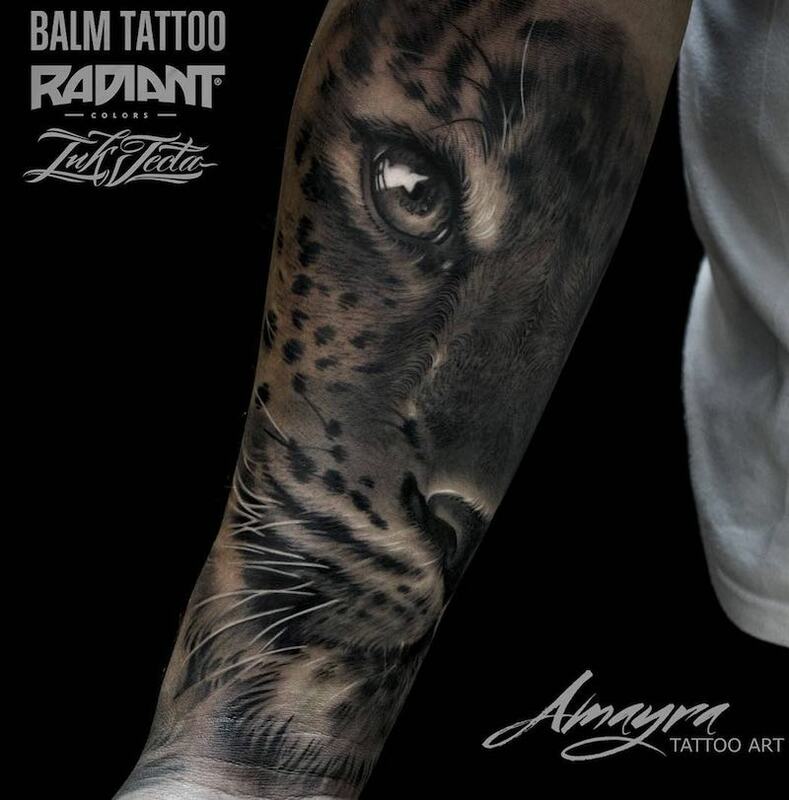 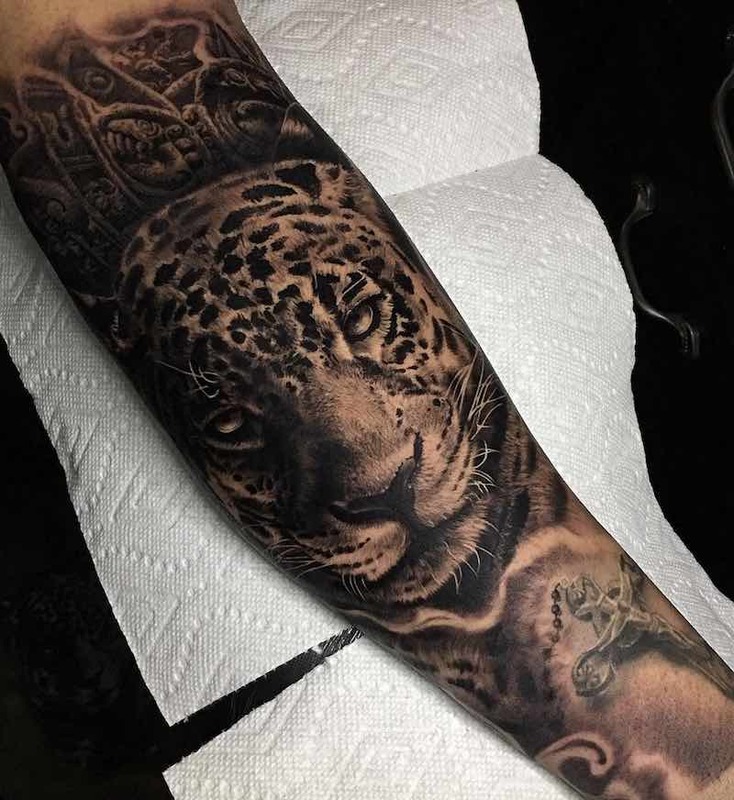 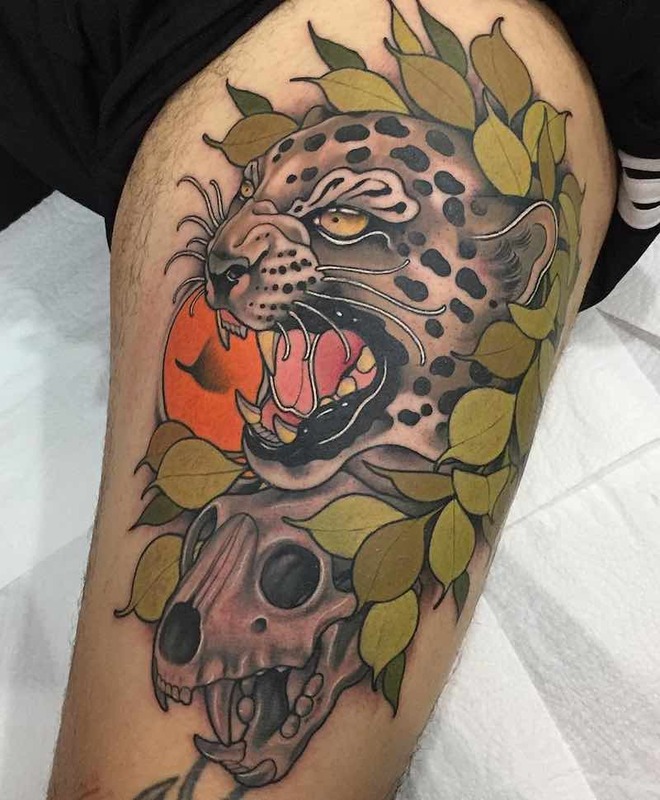 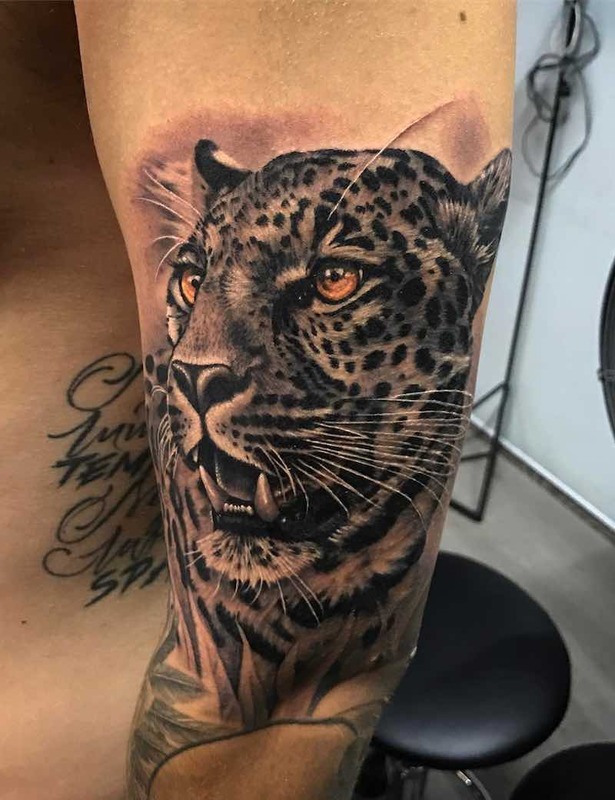 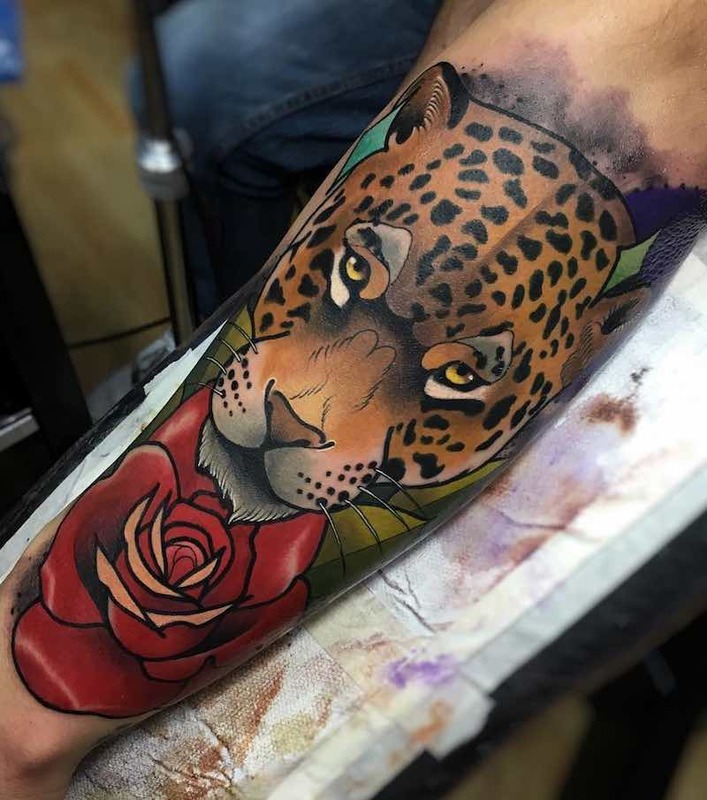 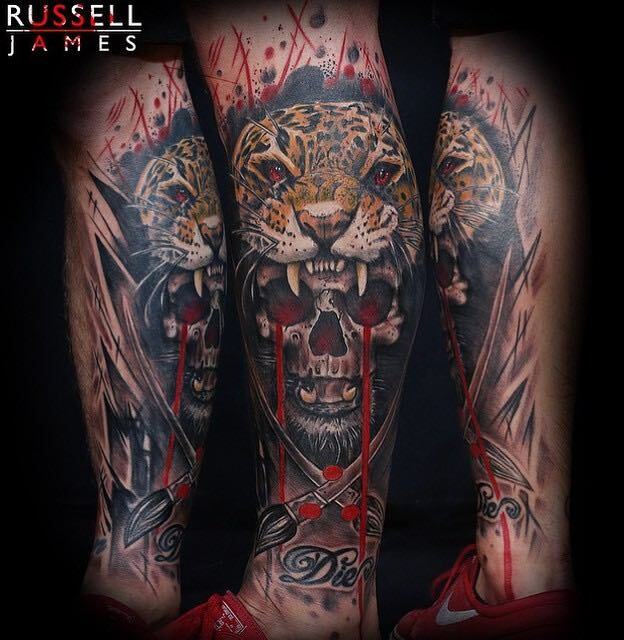 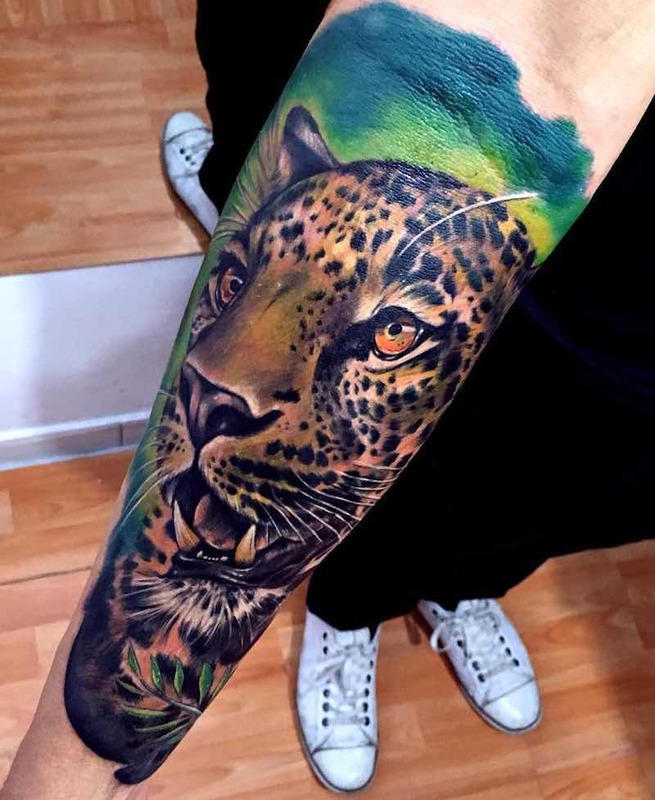 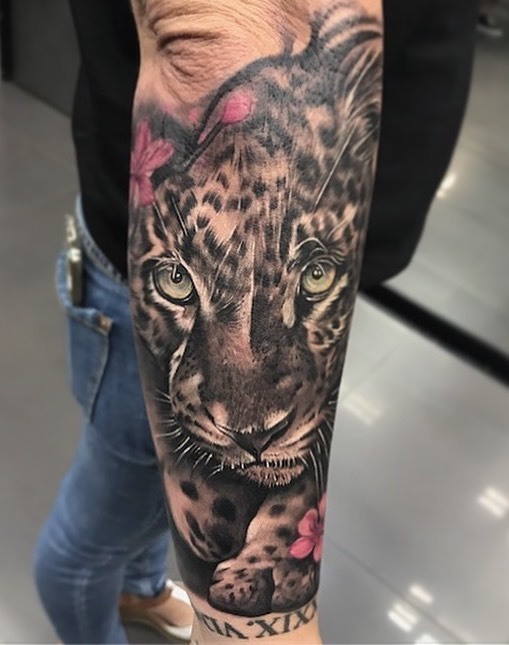 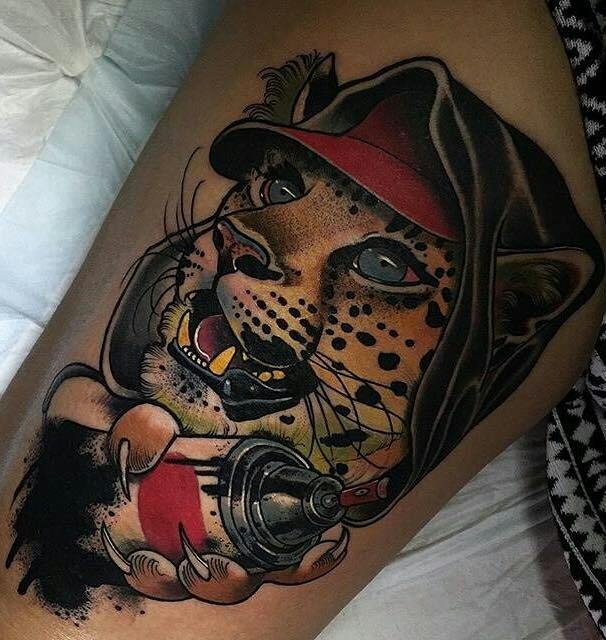 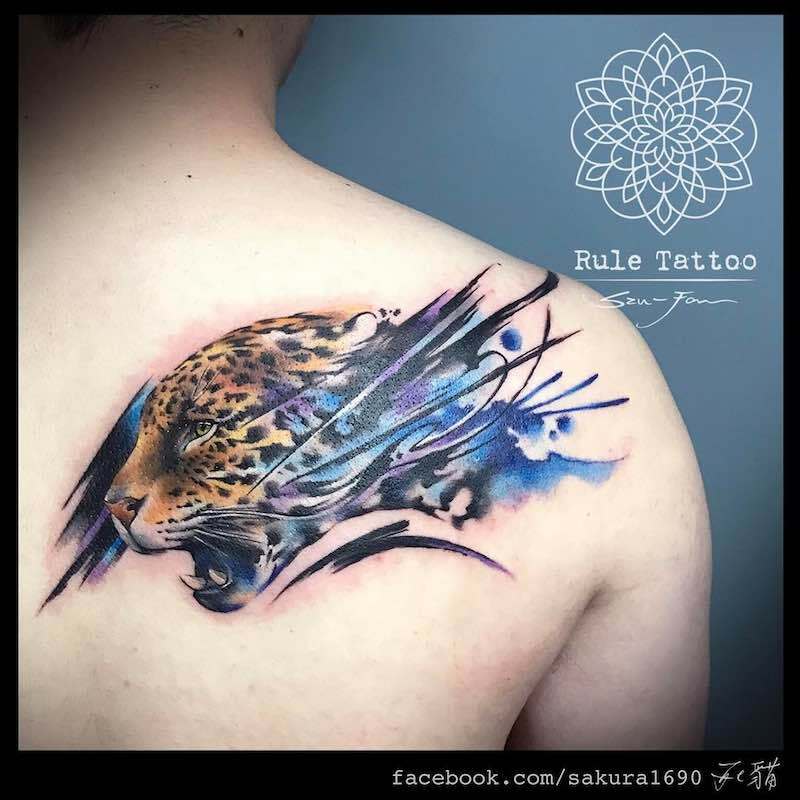 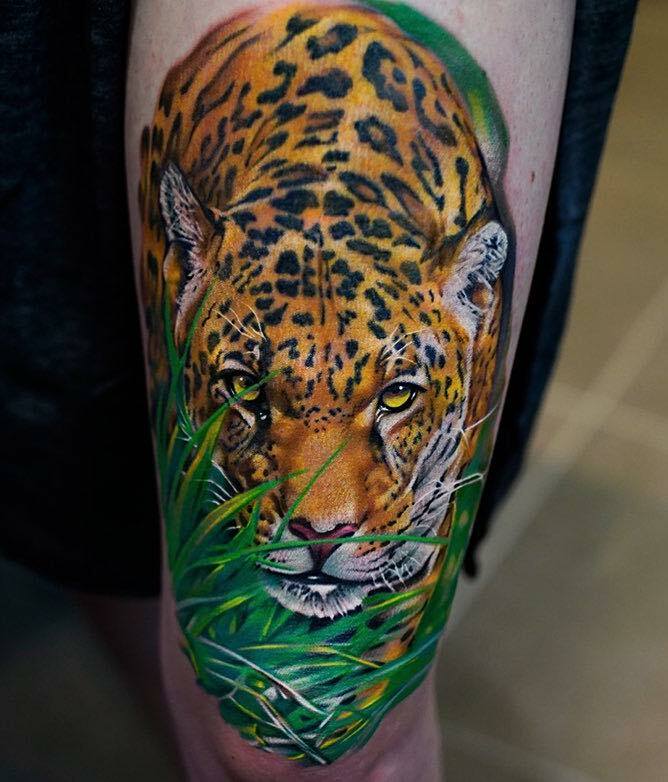 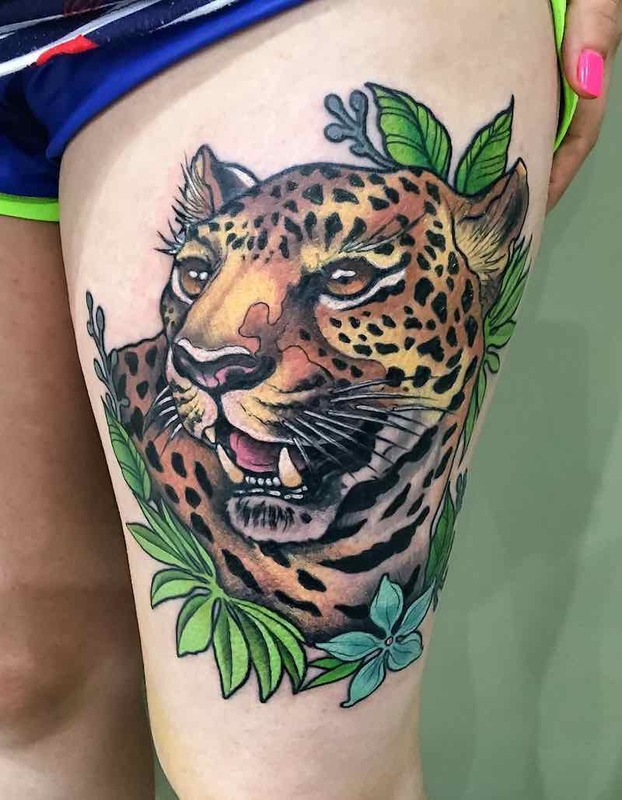 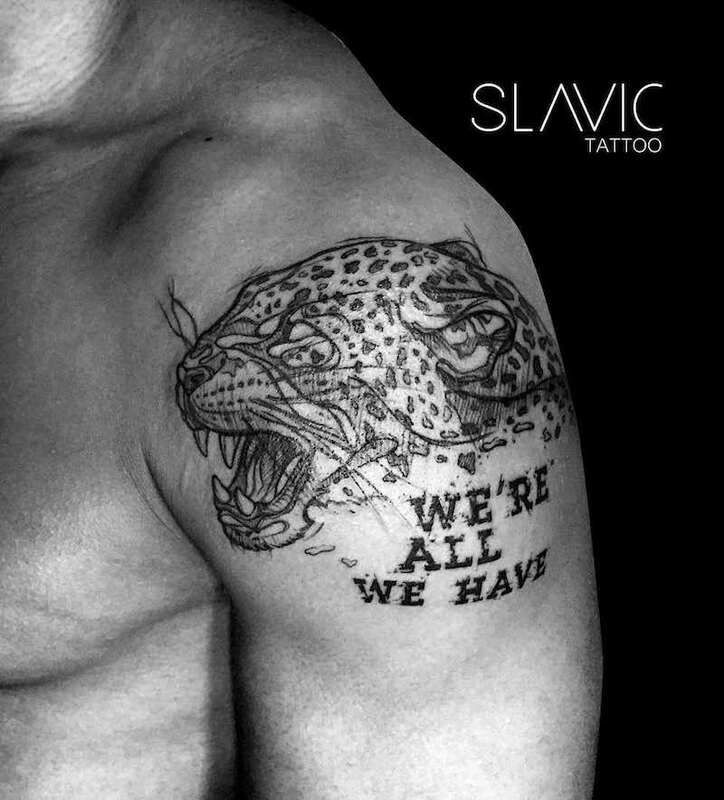 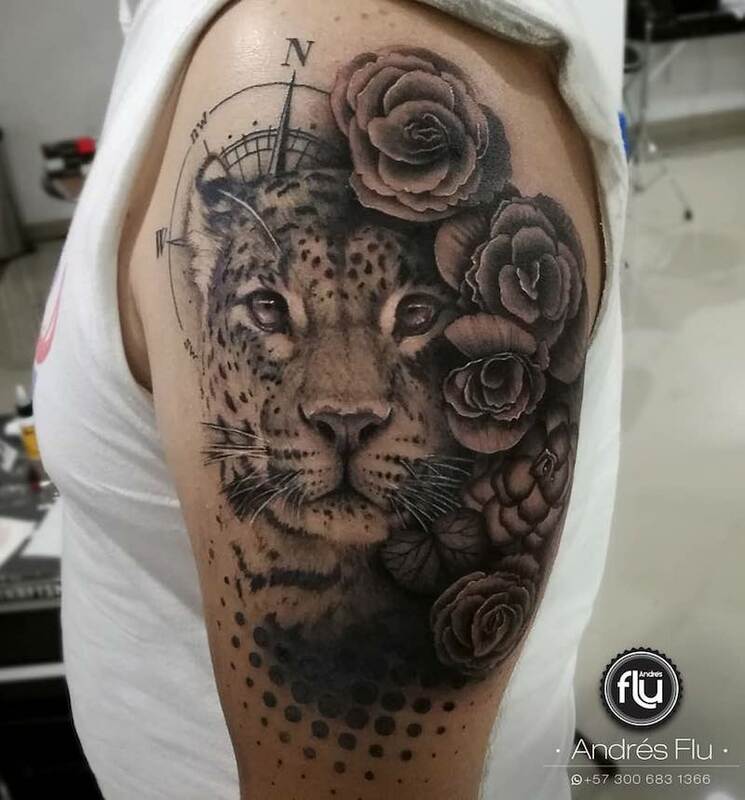 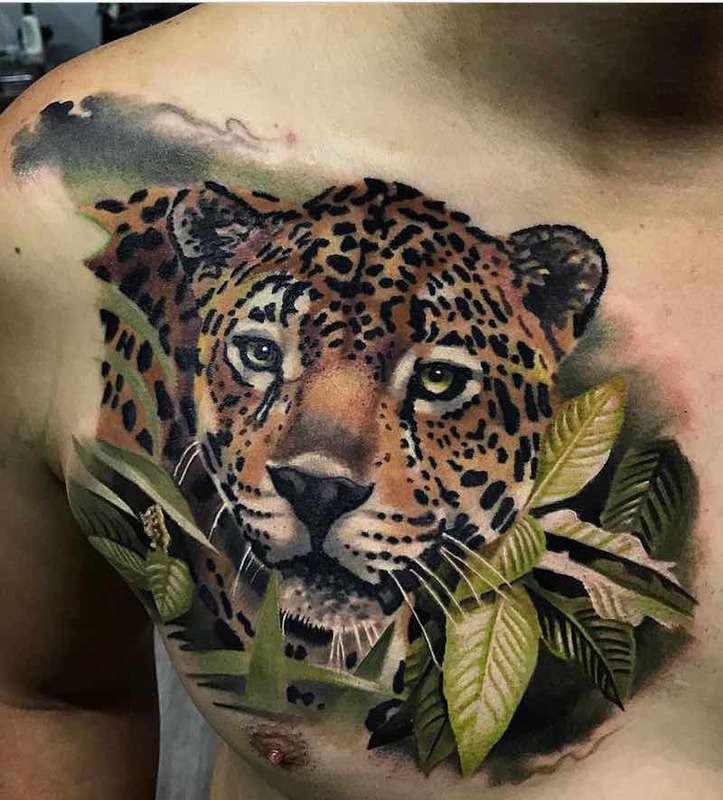 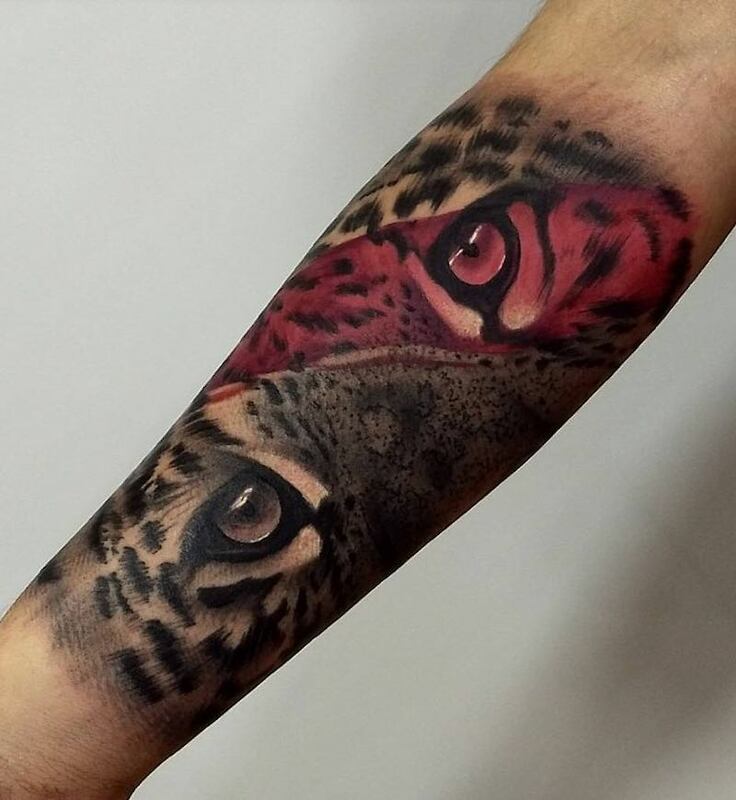 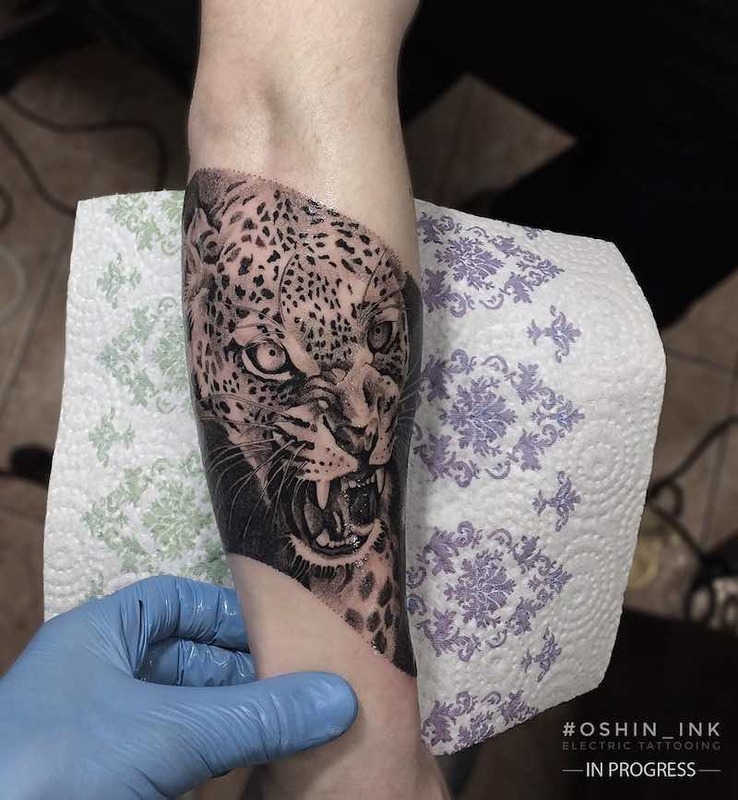 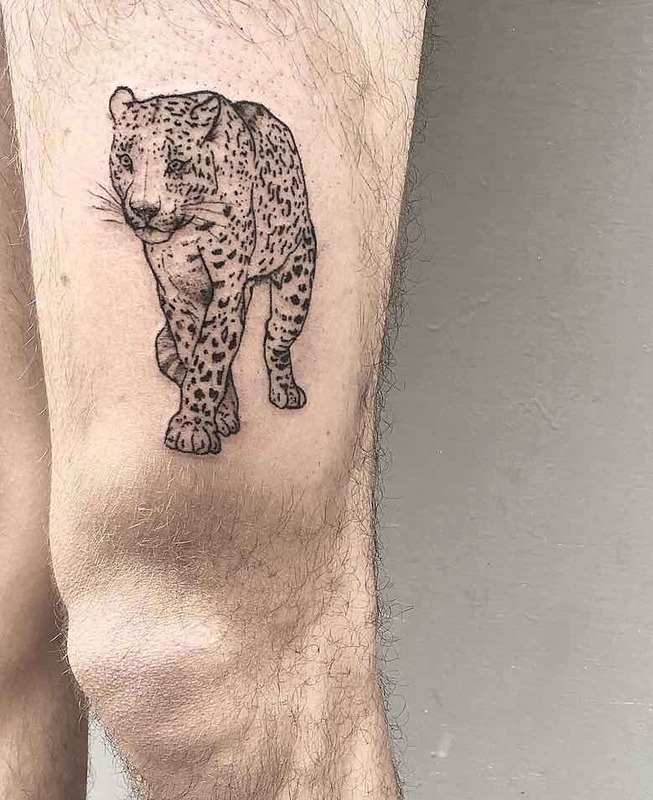 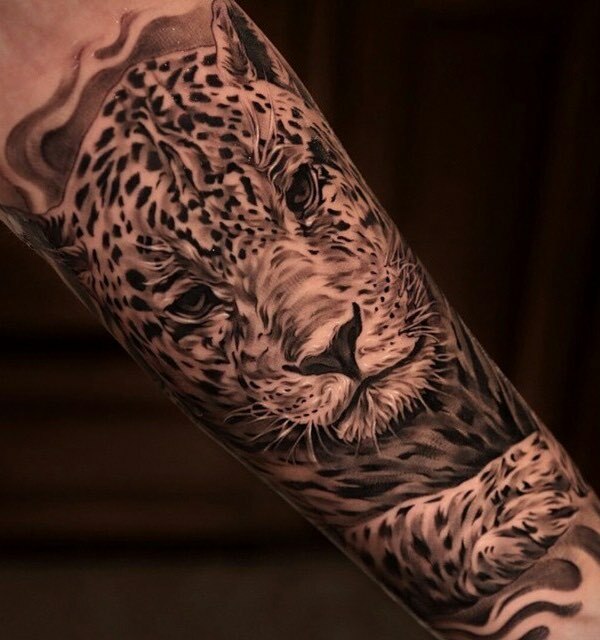 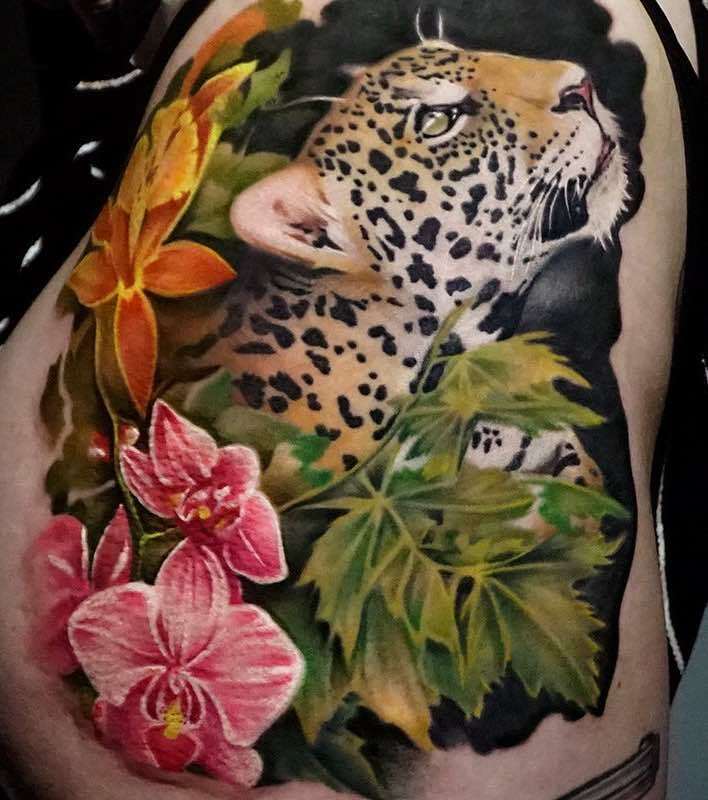 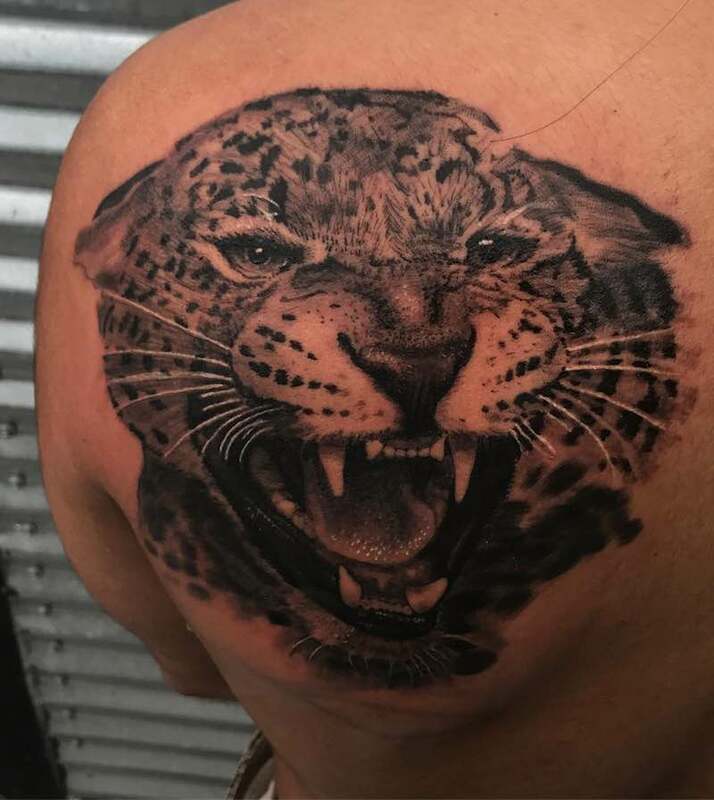 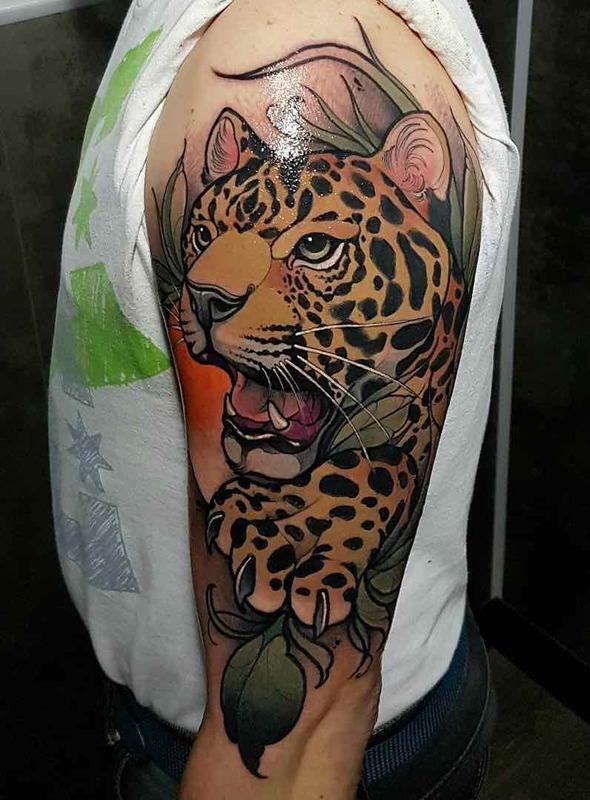 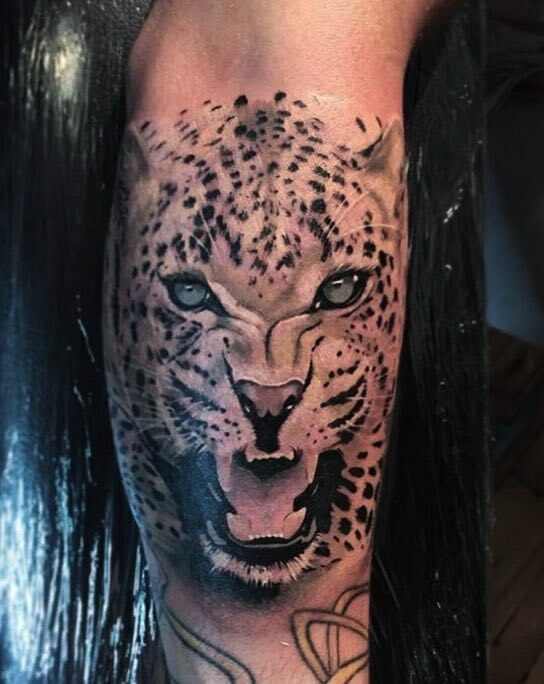 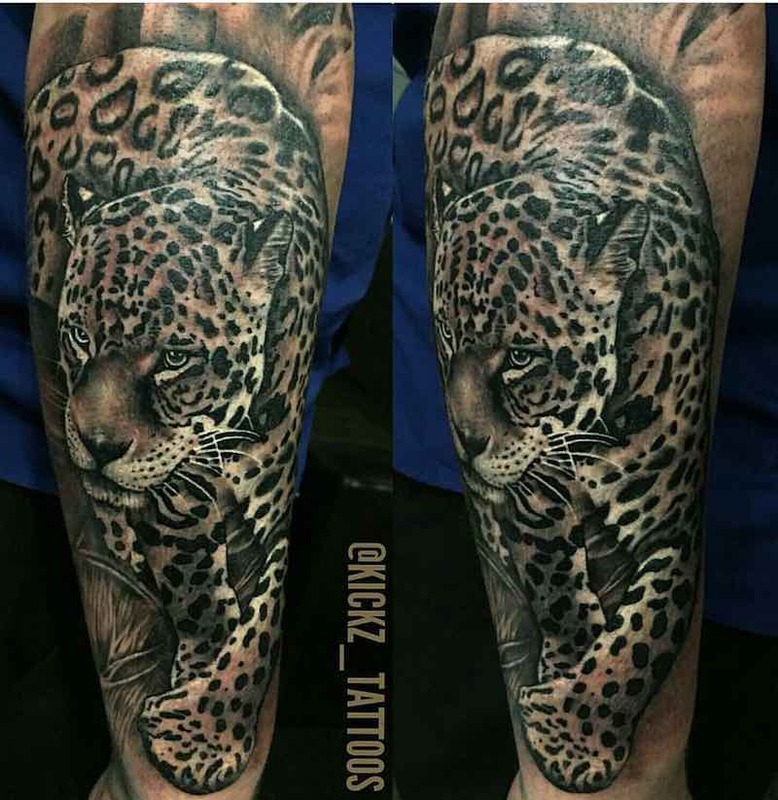 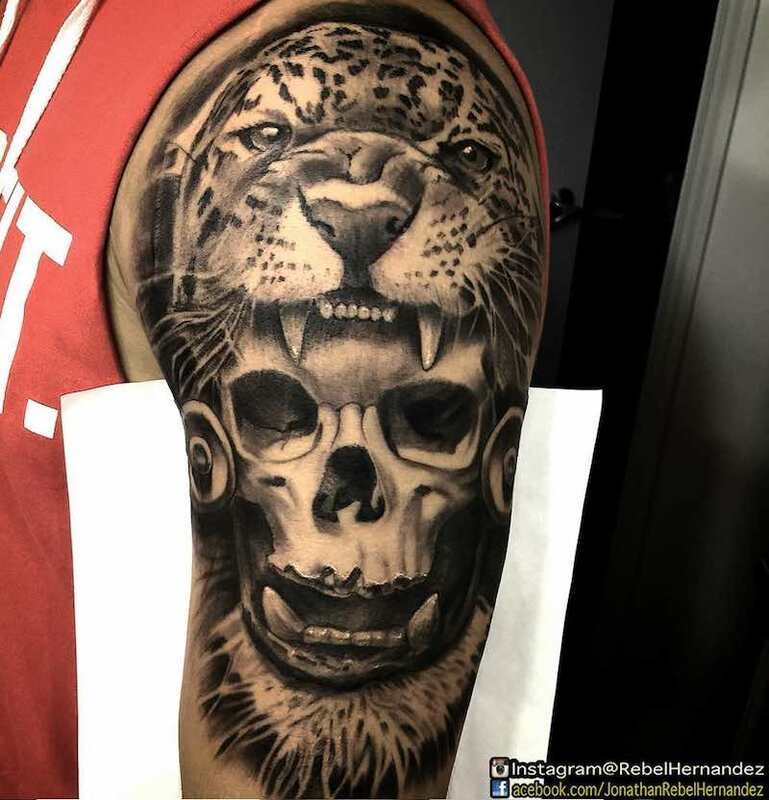 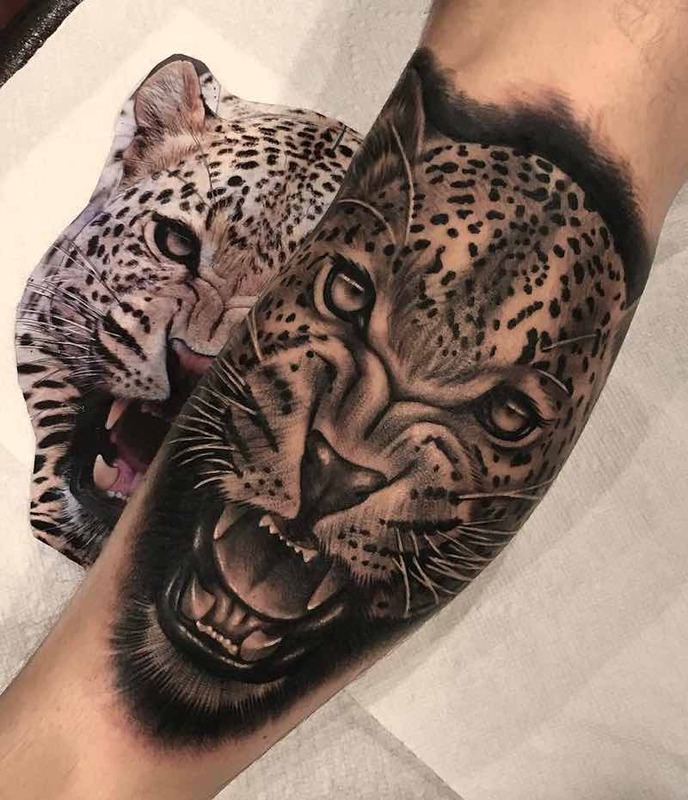 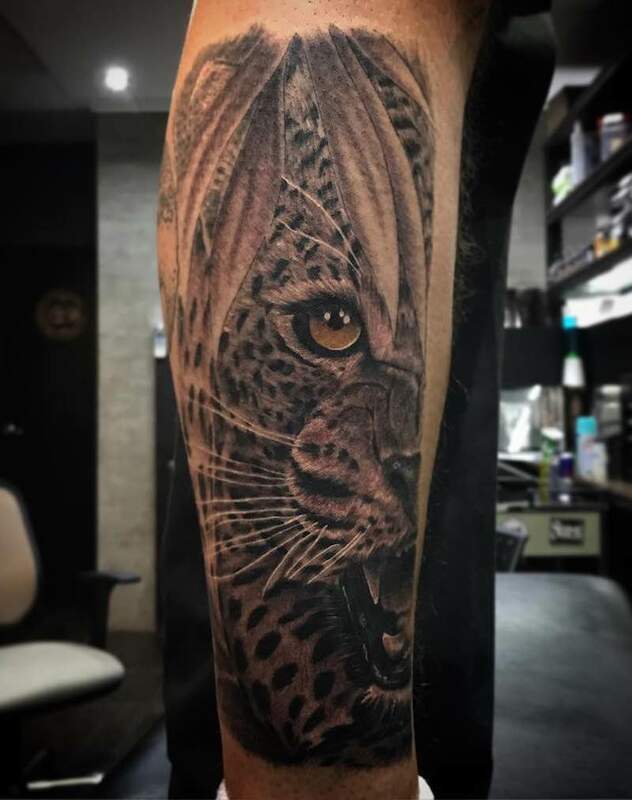 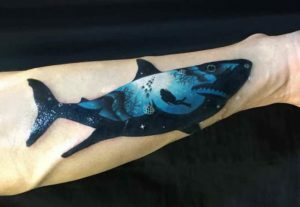 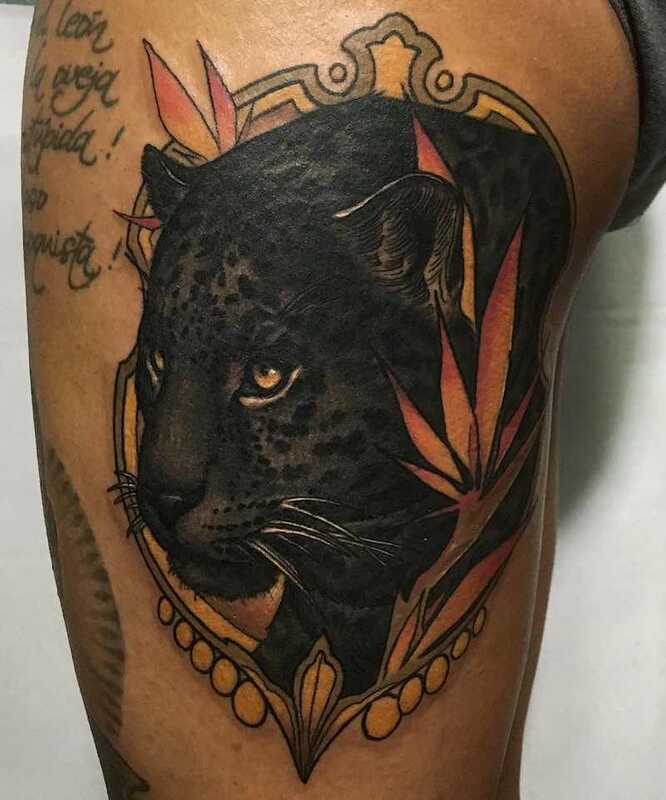 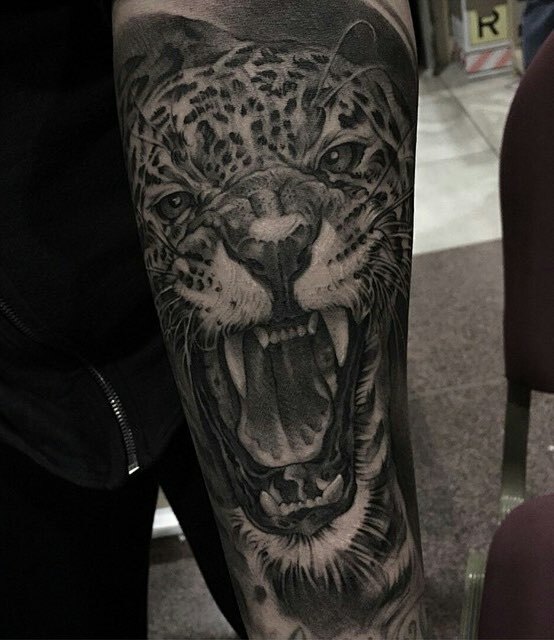 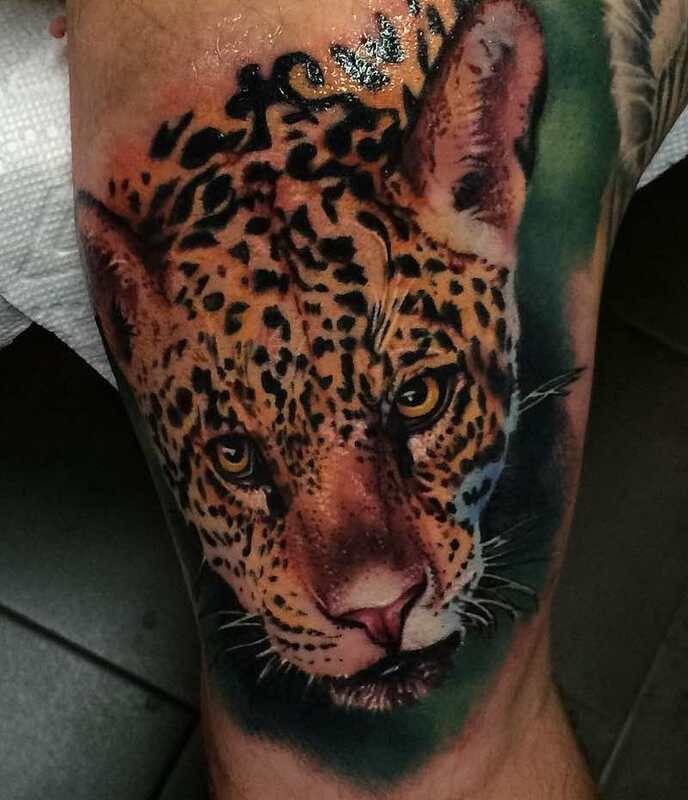 Jaguar Tattoos come in many different styles and forms, the most popular being black and grey realistic jaguar tattoo designs. 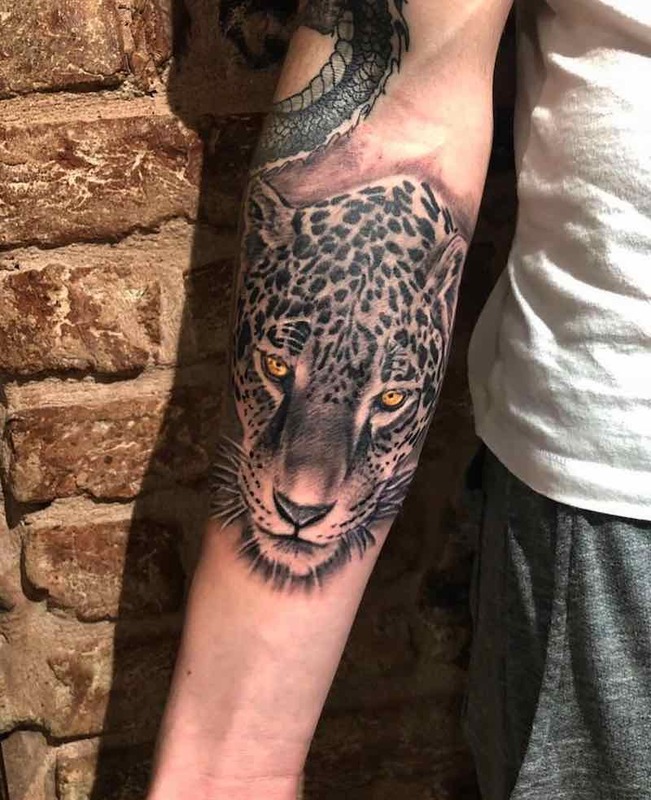 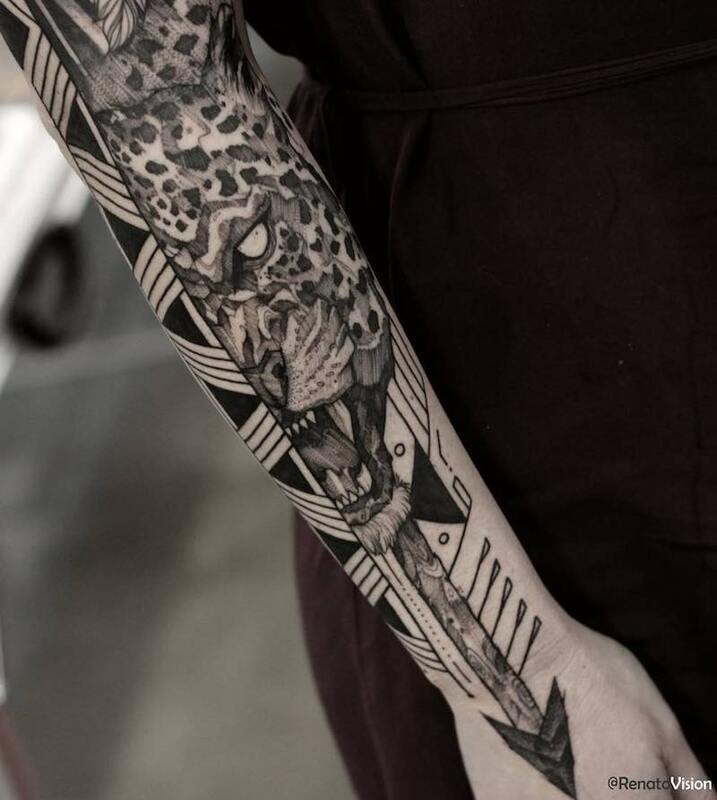 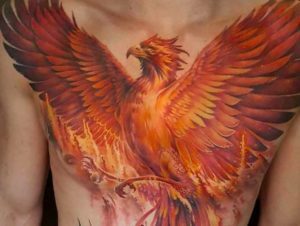 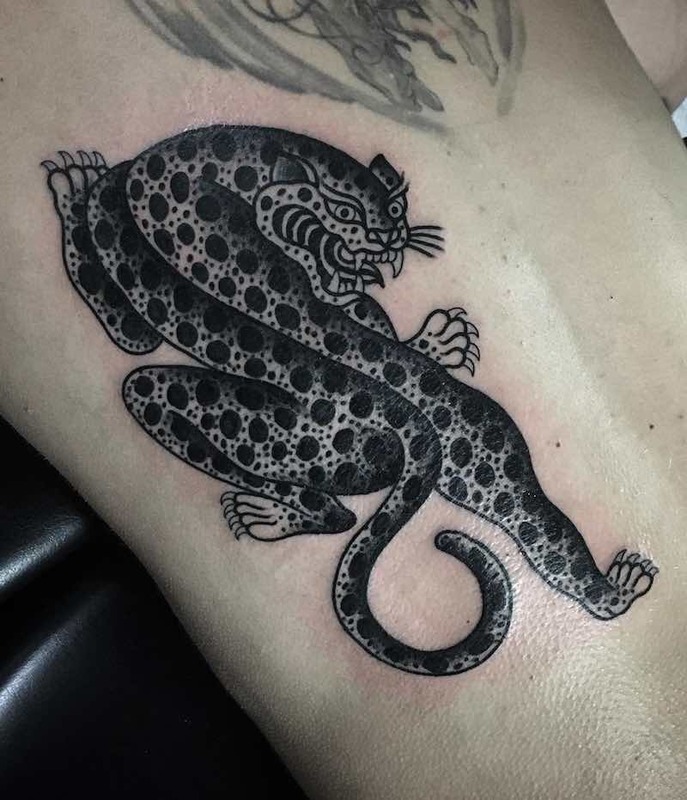 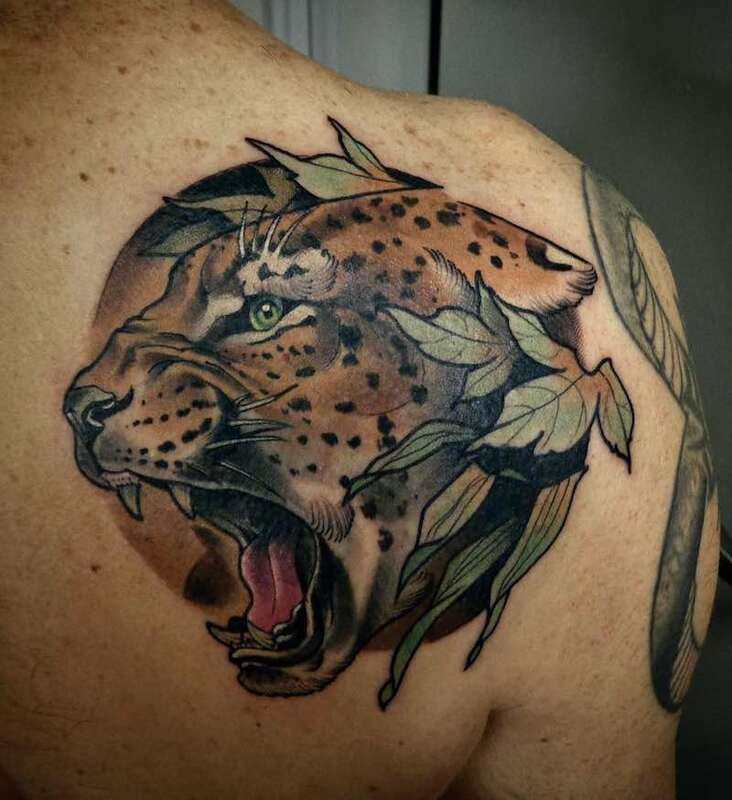 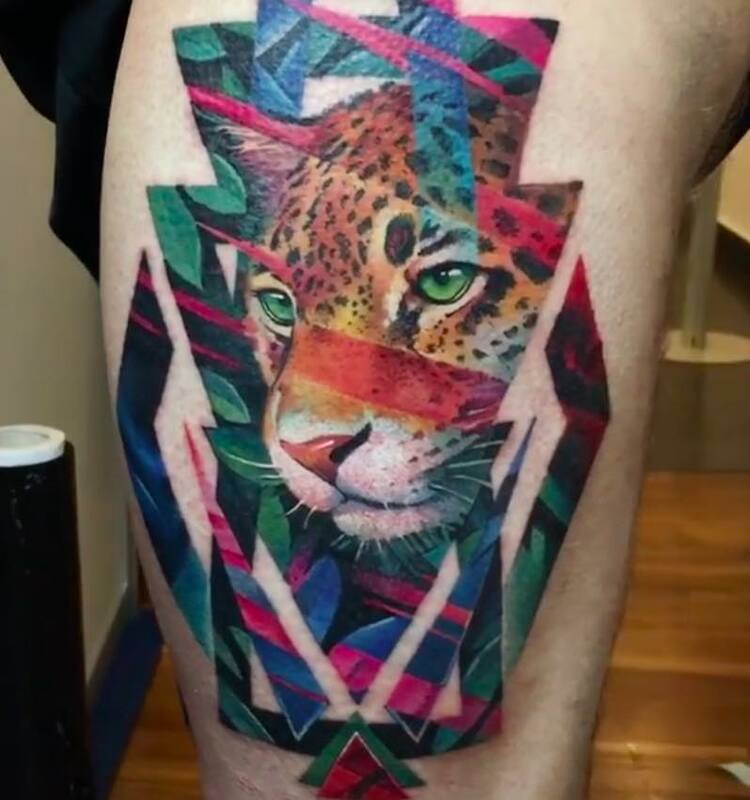 Another popular form of jaguar tattoo design is Mayan, Incan and Aztec depictions of the jaguar, all of which can be a great source of reference for a jaguar tattoo. 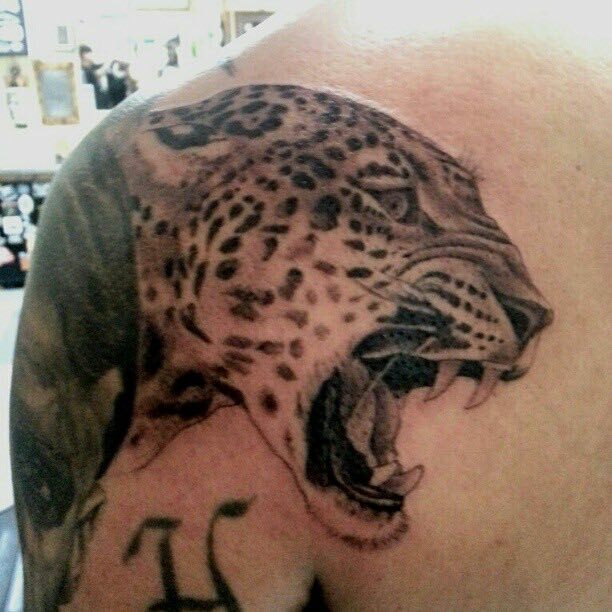 Jaguar tattoos can have a variety of meanings, the five main meanings being; humility, patience, inner strength, power, and confidence. 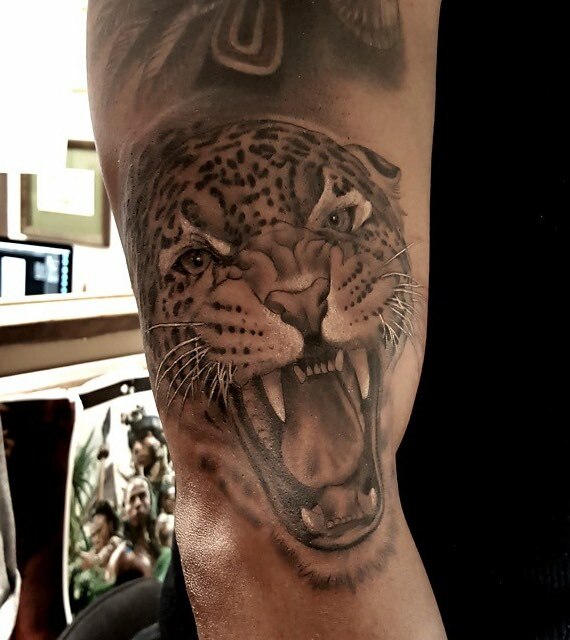 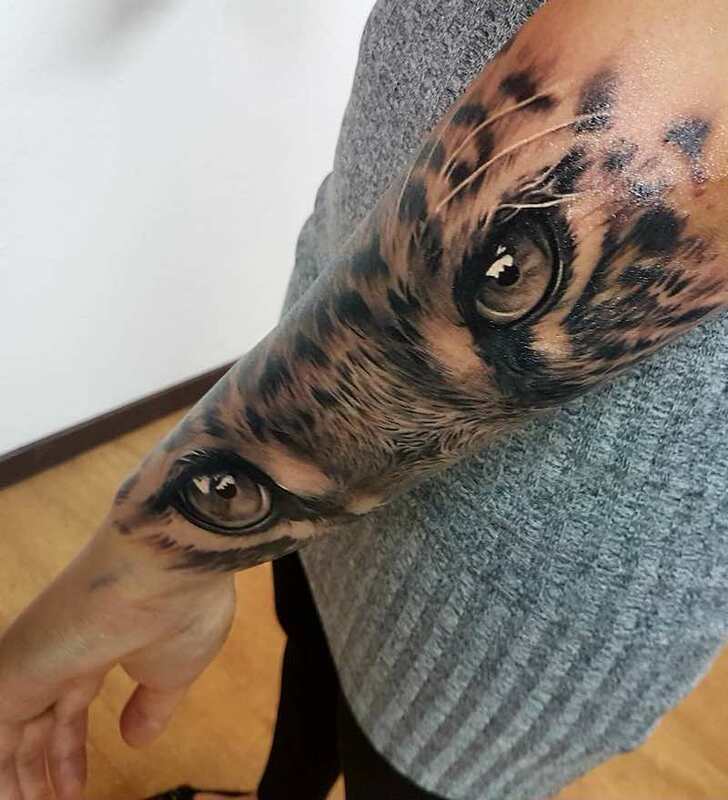 Mayan jaguar shaman believed that the eyes of the Jaguar had the power to look into the spirit world, the eyes of a jaguar tattoo can be a way to symbolize your link to the spirit world or represent your spirituality. 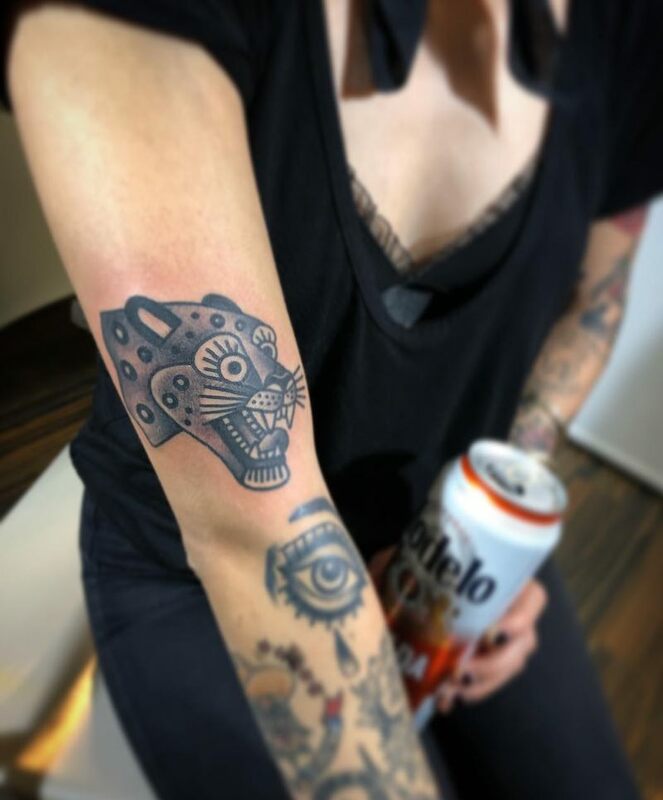 Jaguar tattoos have a big place in Aztec tattoo imagery. 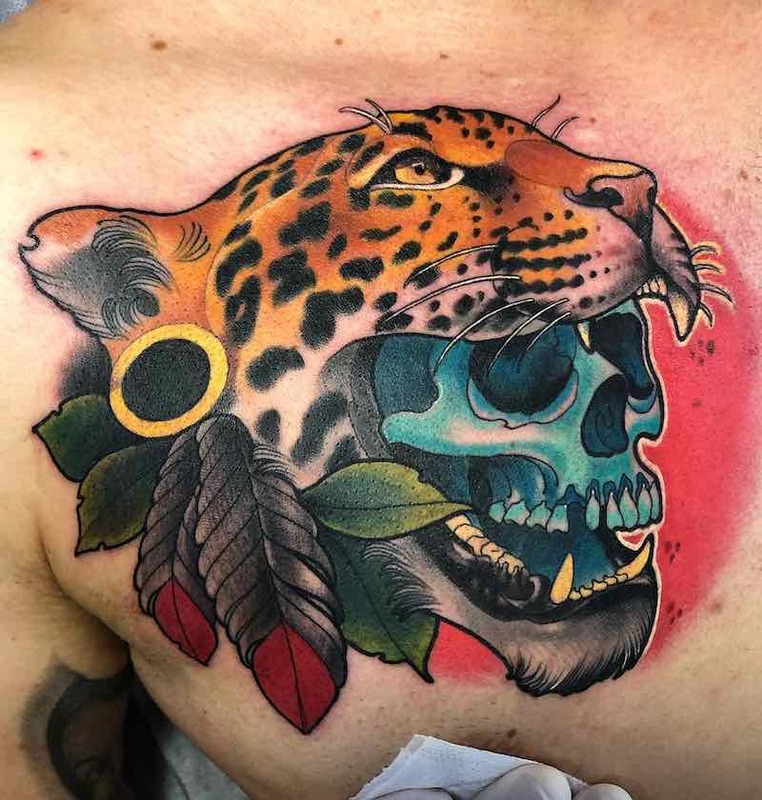 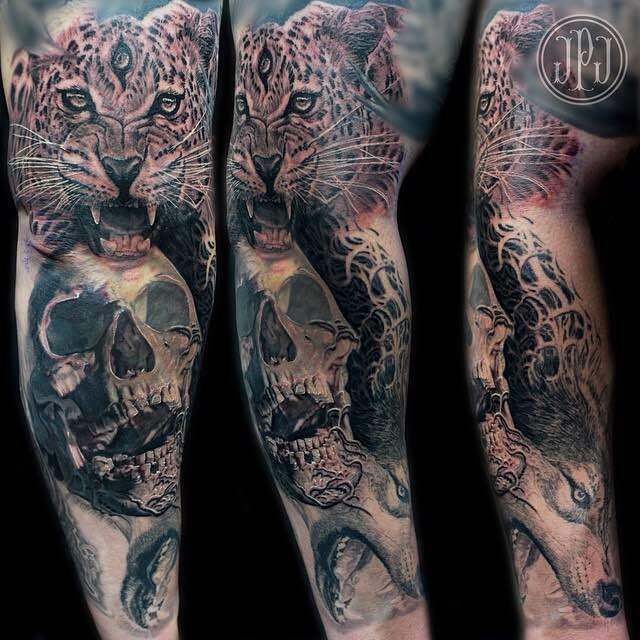 In the Aztec culture, the “jaguar warriors” would wear a real jaguar skin in battle and were seen as high in nobility, these jaguar warriors make great jaguar tattoos. 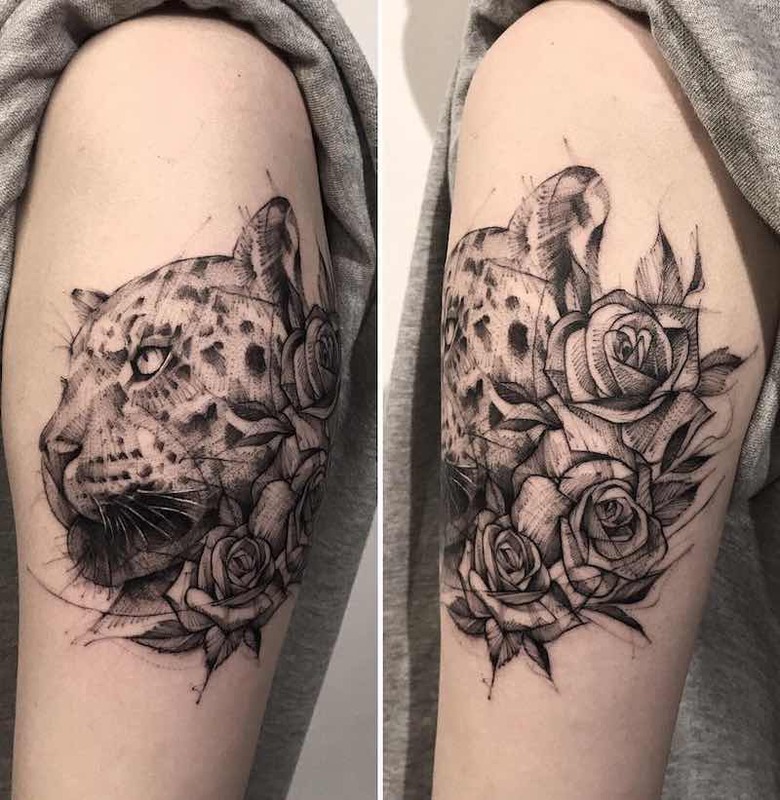 Jaguars and leopards look very similar, a good way to distinguish a jaguar from a leopard is by their spots, jaguars often have some spots that resemble roses and are called rosettes. 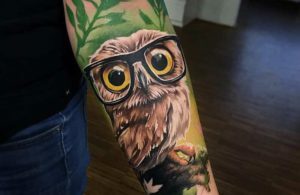 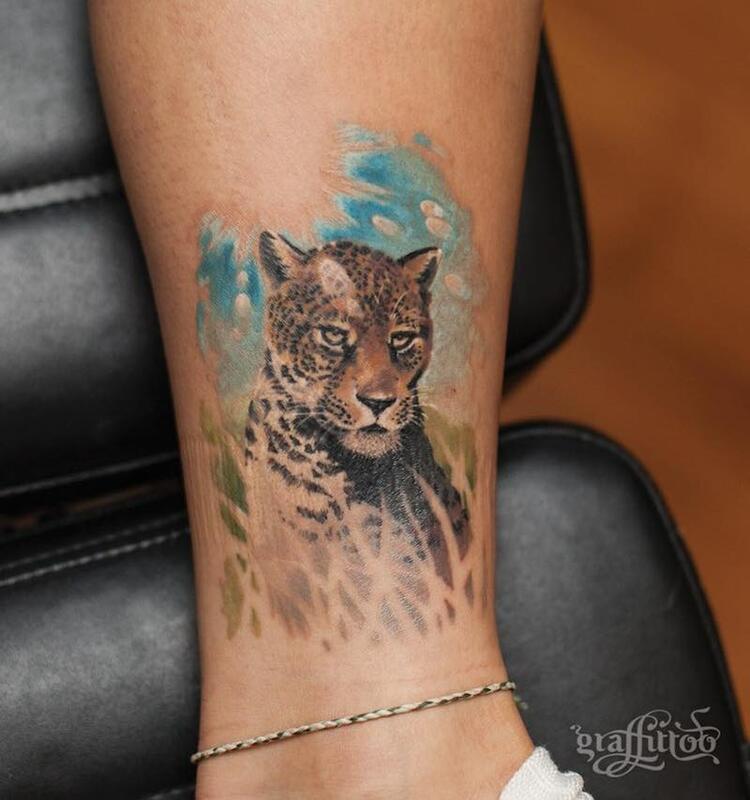 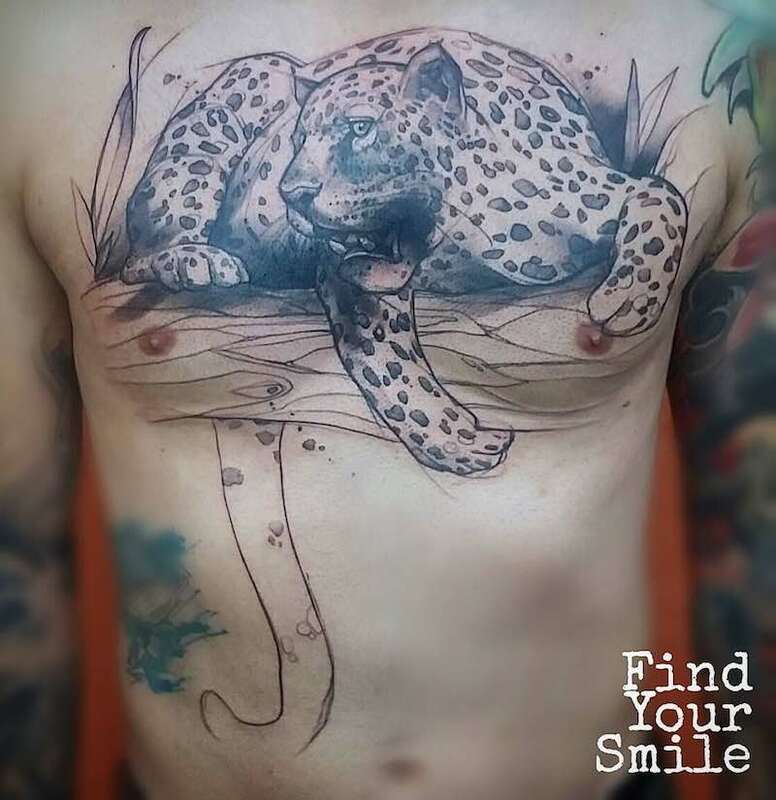 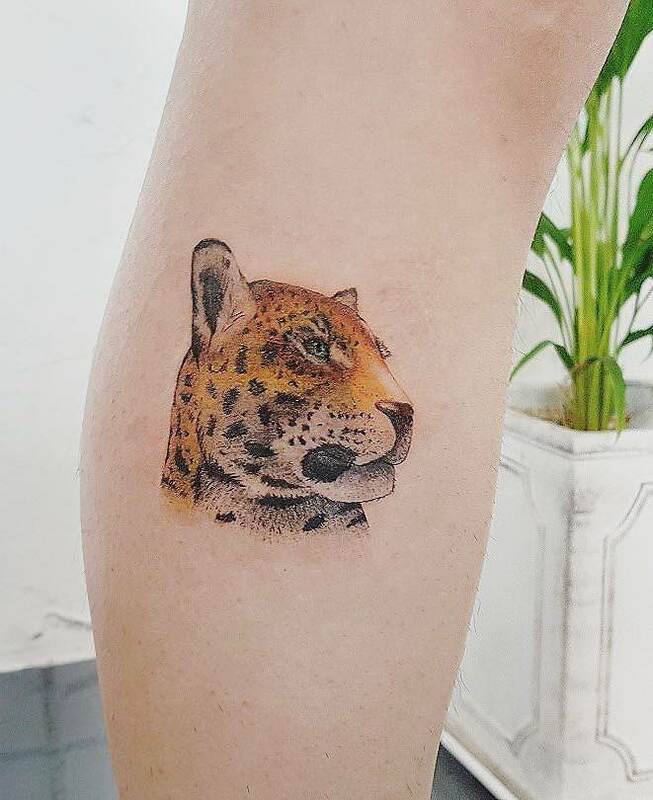 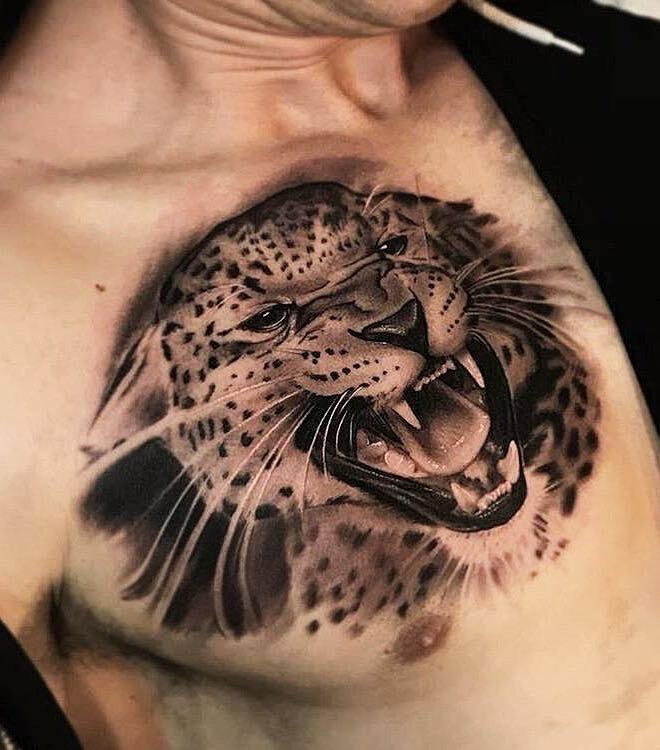 However, these spots can’t always be seen particularly on the head, so if you are gathering references for a tattoo artist be sure it is one of a jaguar and not a leopard. 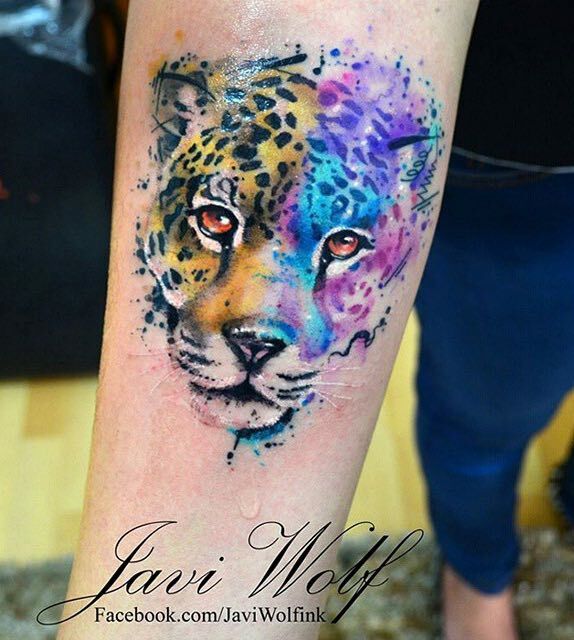 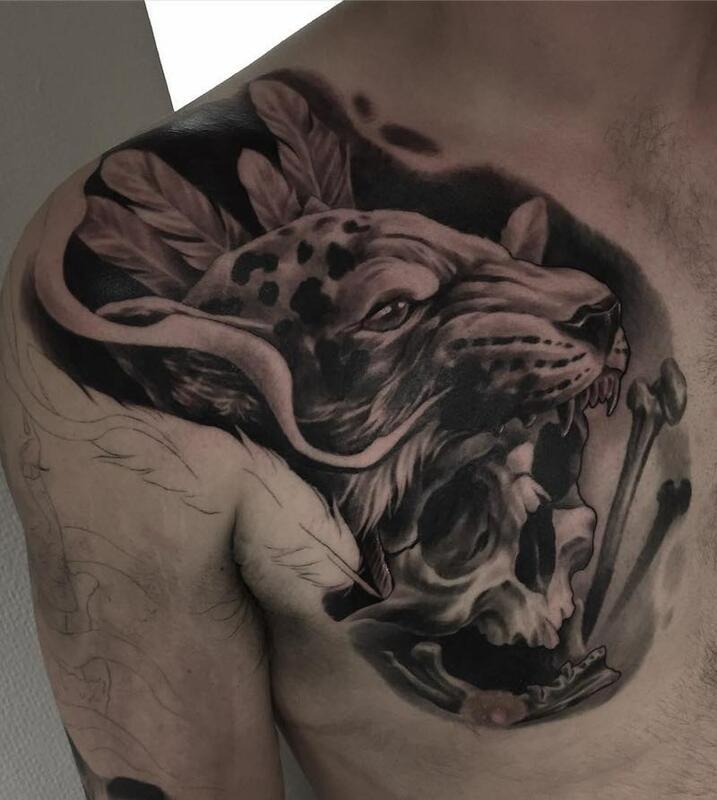 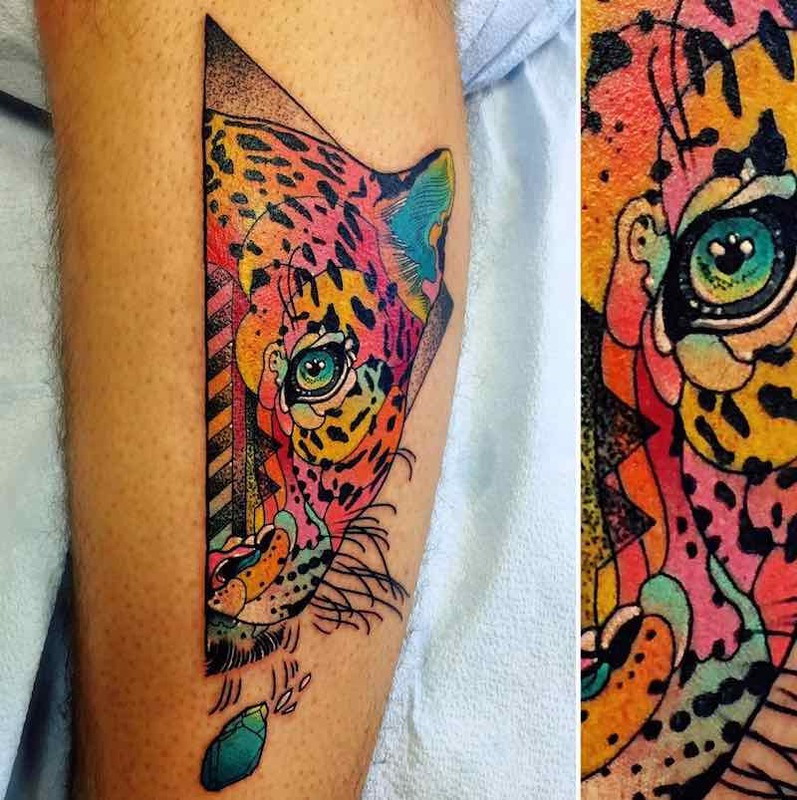 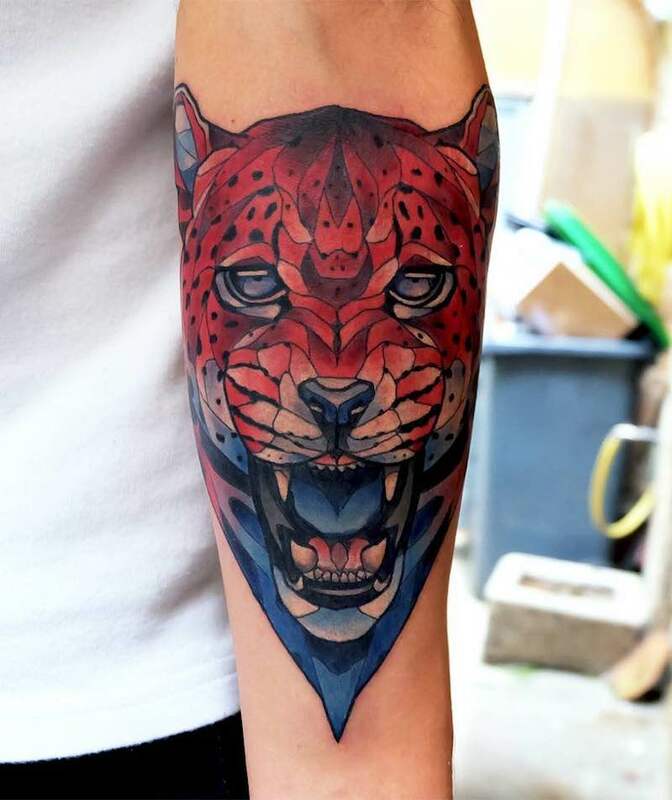 For more Aztec Jaguar tattoos, check out Aztec Tattoos.